I haven't really been updating much lately. Basically I've been too busy with real life and the appeal has somewhat vanished. When I started the blog I was confident we'd see a steady progression until there was no tattoo left. I still believe that to be the case, it's just I don't have an end date in sight yet. 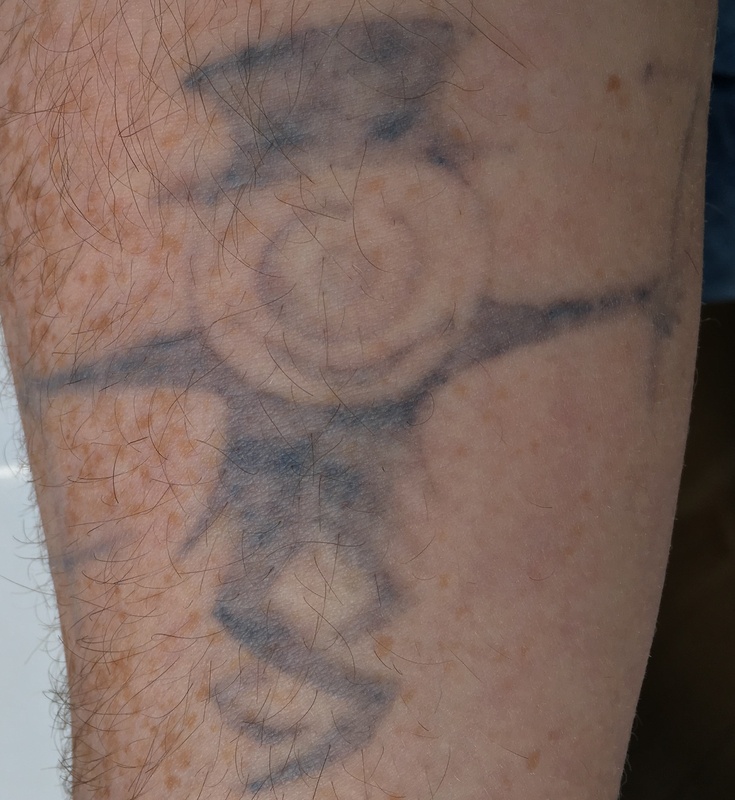 As Ive mentioned, I always assumed it would take 6 months, 12 max, for the tattoo to be completely removed. I'm now in the 24th month and it's still highly visible. It's challenging [for me] to keep a regular blog about if when I have little else to say. I joined a gym this month, yes the January cliche. In my defense, I had been planning to join since August but could not afford it. This whole getting old malarky has made me think I need more exercise so gym it is. So far I've been pretty good about going, but it has only been 3 weeks. Of course I'm currently sick so can't go. This has impacted my gym momentum, or gymentum as they say (they don't say that). Healthy immune system and fitness is important in tattoo removal. I'm hoping that the additional exercise will help the removal. I don't think it will help in any quantifiable manner but when the ink is all gone, I'm going to say that some is down to me joining a gym. So, most importantly, a picture. They say a picture is worth a thousand words. If you're only here to see how my tattoo looks then it's definitely worth more than a thousand of whatever nonsense I spout words.